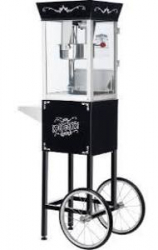 Add a sensational treat to any party with concession machine rentals from Air Bounce San Diego! Cotton candy is a favorite past time for children and adults. 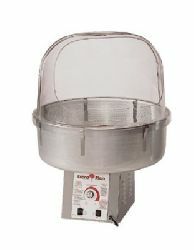 Bring back that nostalgic feeling by renting our portable and easy to operate cotton candy machine. Your order includes 50 servings that are sure to delight guests of all ages! We guarantee your rental will be clean, fully sanitized, and ready to go as soon as it is delivered. Planning a summer party? Cool everyone down with delicious sno cones! 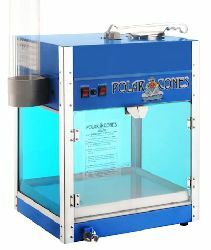 Our commercial grade polar cone maker will keep your guests cool and satisfied. Fun food rentals are sure to excite people at any event! Add value to any order buy clicking on our party packages! Already renting one of our impressive bounce houses? Add on a fun foods rental to get the most bang for your buck! Get an instant discount by renting the 2 together. Take a look at the savings! Air Bounce is conveniently located in sunny San Diego. We pride ourselves with the cleanest equipment and the BEST prices in the area. We are fully insured and work hard to ensure a germ-free fun foods rental. You can count on our fully uniformed staff to be courteous, helpful and always on time. Online ordering is easier then ever, click on any image and go straight to check out, its that easy! Questions? Call 619-797-7218 or use our contact form. Our goal is 100% customer satisfaction, and with over a 1000 happy customers, we can guarantee a hassle free party experience. Order today!